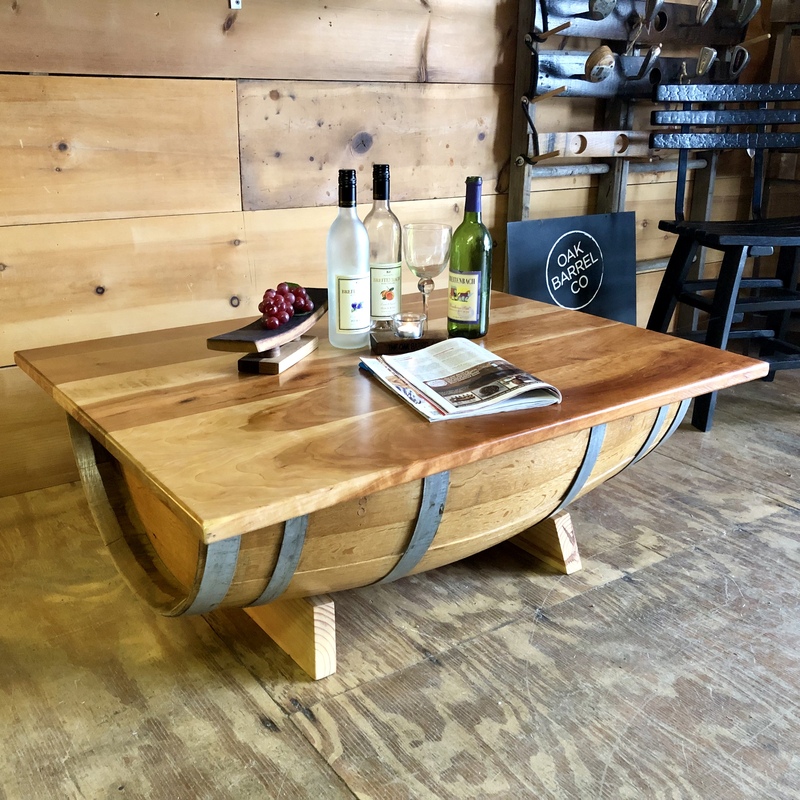 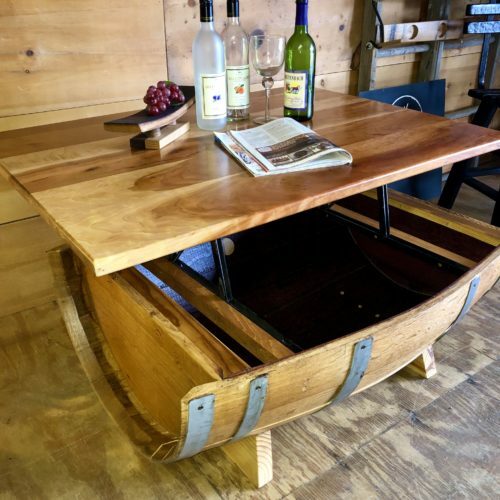 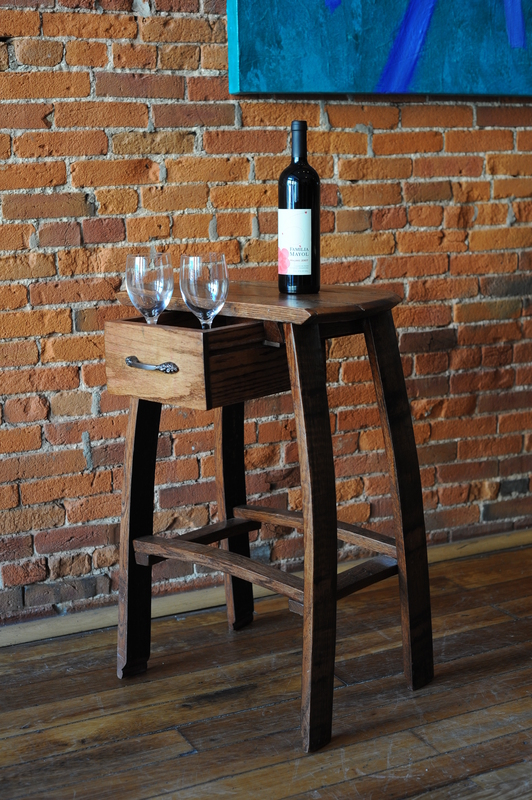 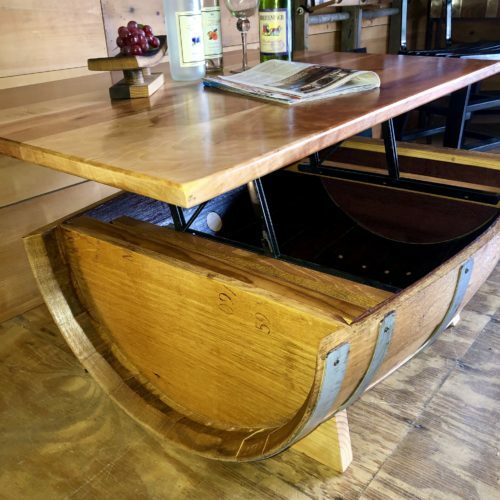 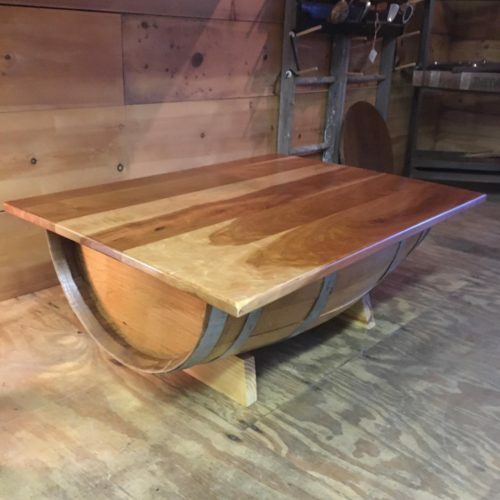 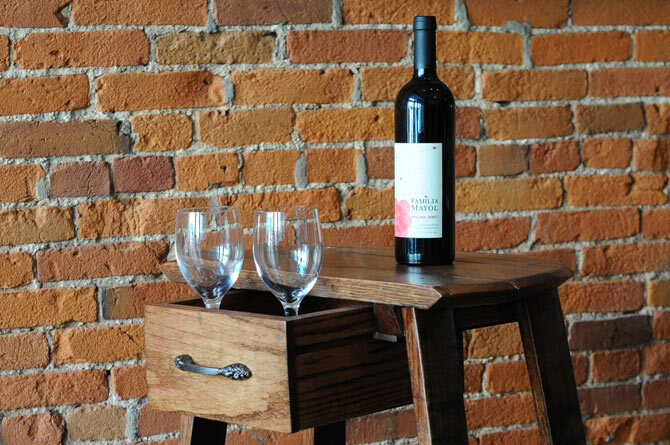 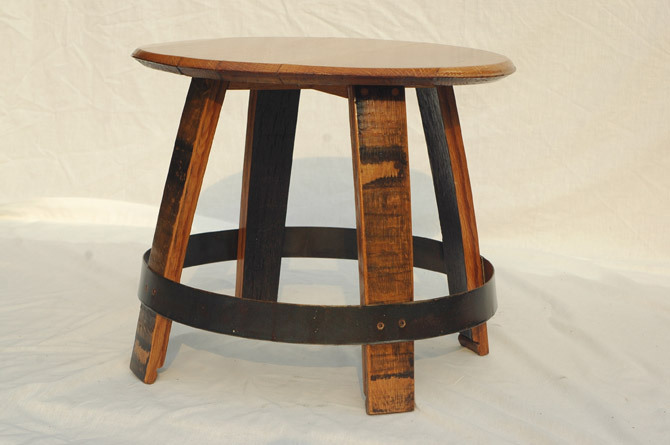 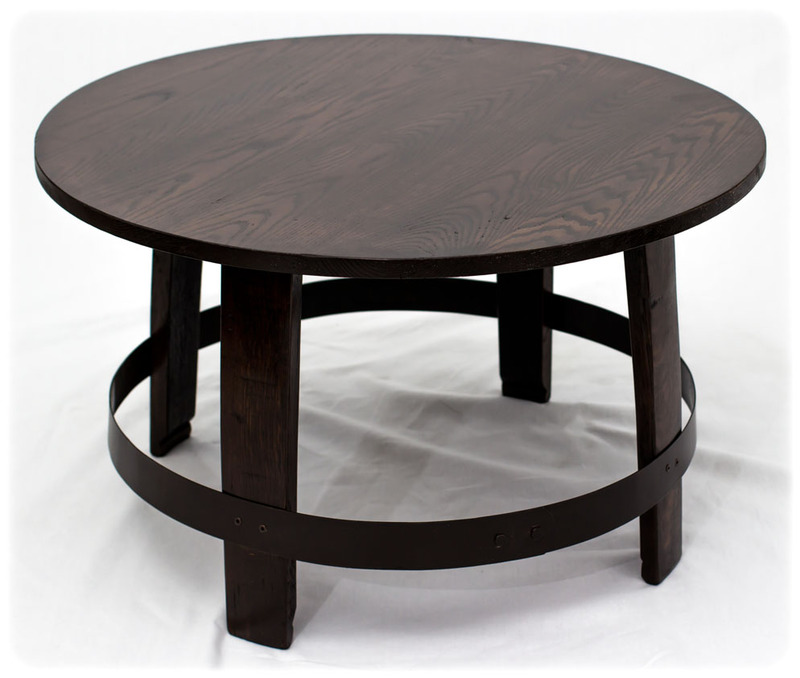 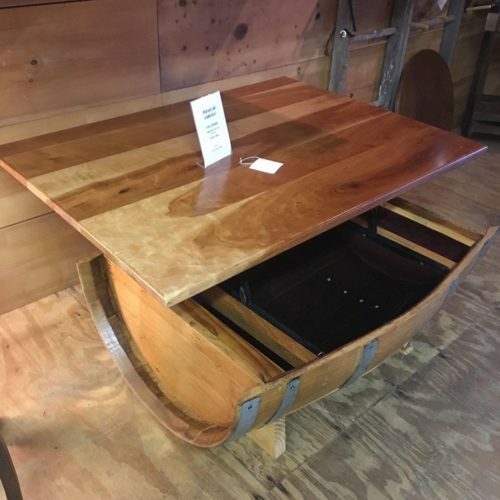 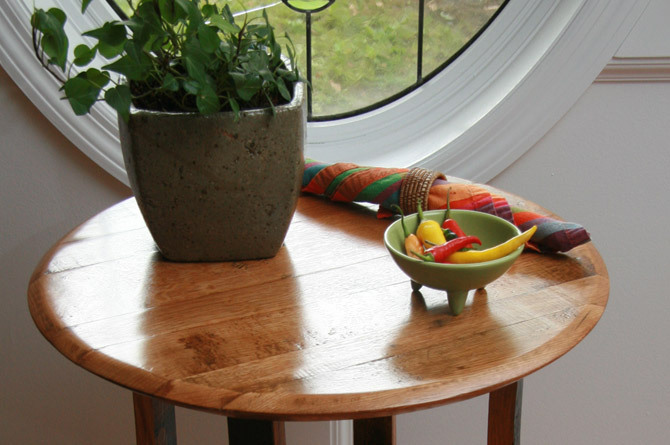 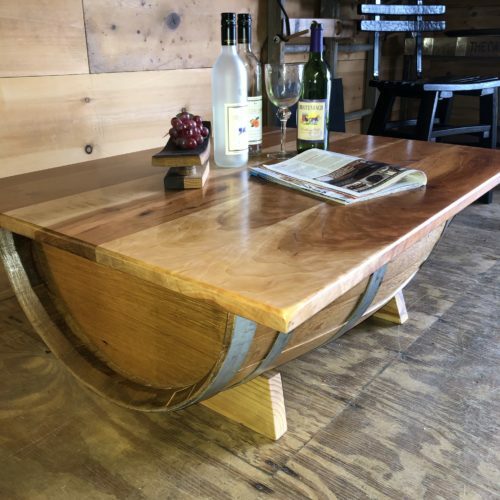 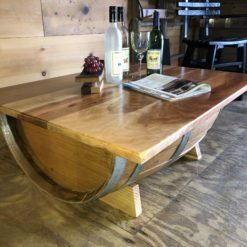 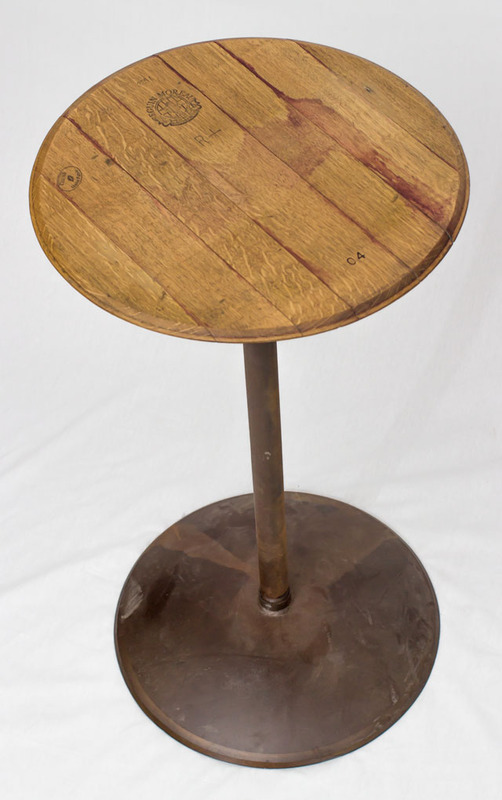 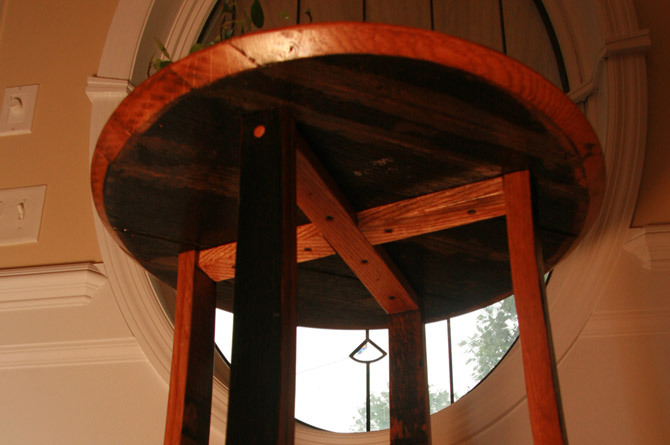 This Half Barrel Coffee Table with a reclaimed Cherry Top is a one time, exclusive item! 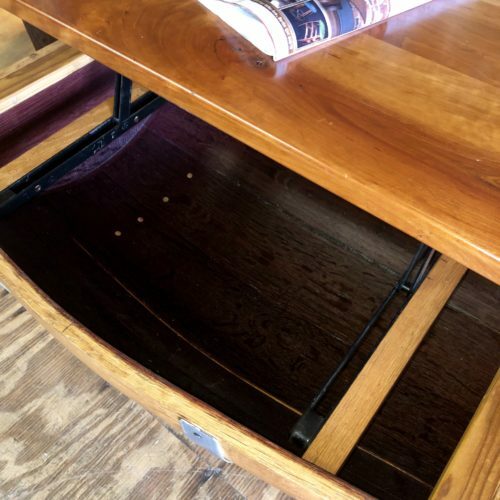 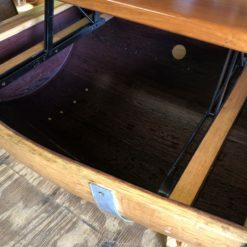 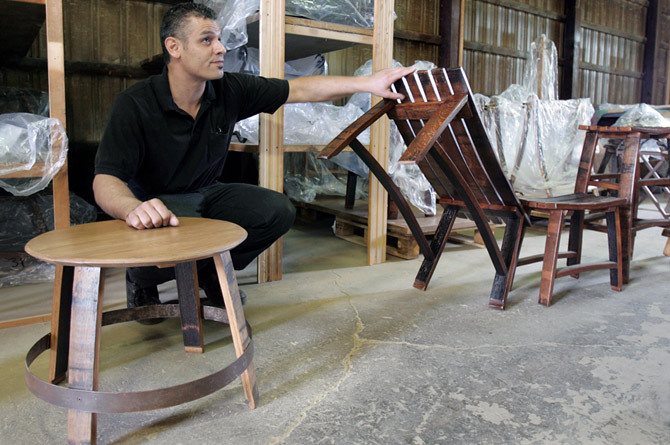 Finding Cherry wood (reclaimed) in this great of condition doesn’t happen everyday! 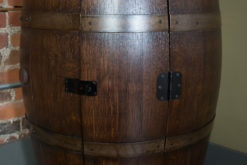 Finished so the natural grain shows through in all its glory! 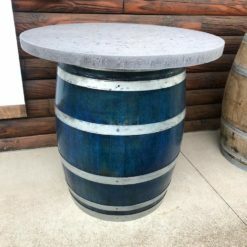 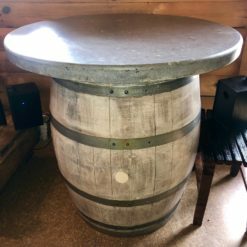 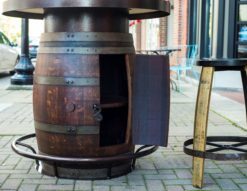 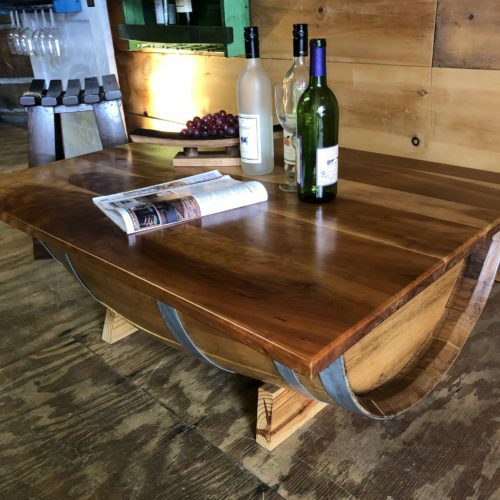 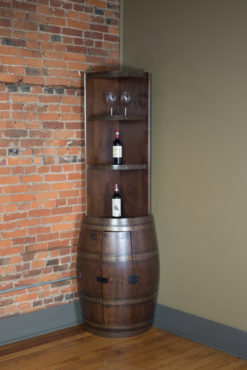 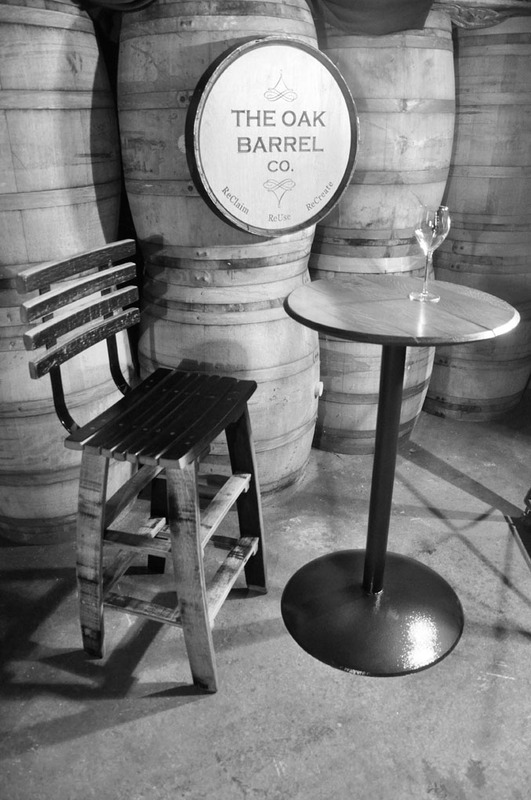 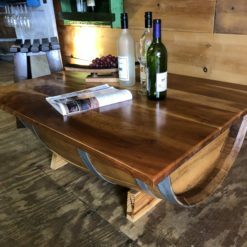 When you lift the top, you will find the used white oak wine barrel still retains its natural deep burgundy coloring that came from the red wine that was made in the barrel! 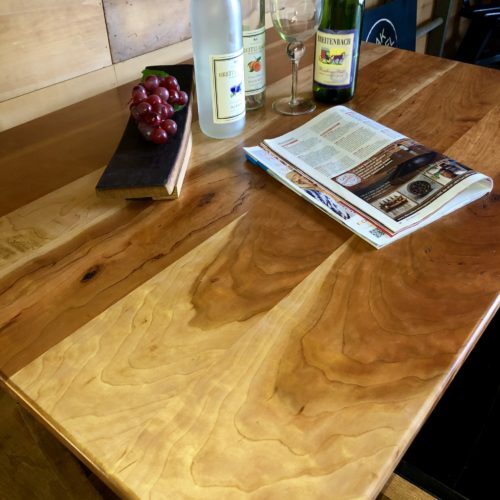 Beauty in so many different ways! 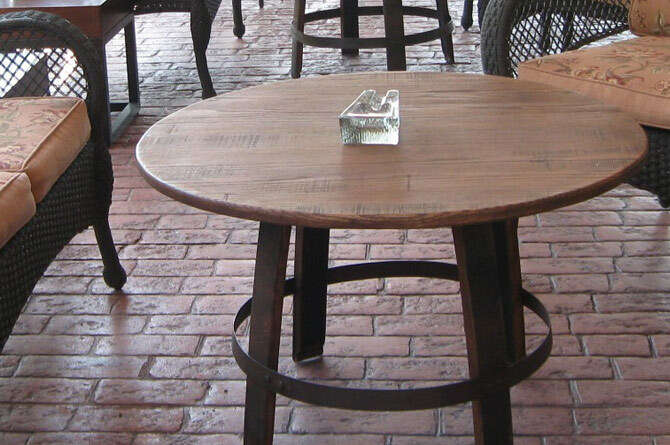 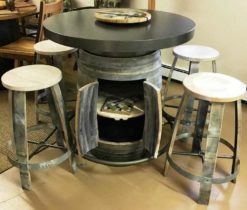 Grab this exclusive table and be the talk of your friends for years to come!